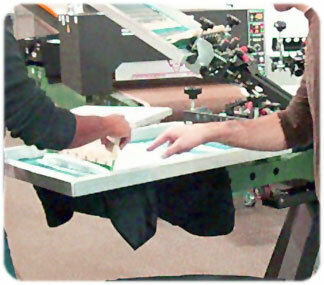 Take a screen printing course from industry professionals and learn how to screen print right away. Screen printing classes are fun for everyone involved! Our classes include lunches and you get to keep all the shirts you print! Our courses are designed to give you hands-on experience with equipment you may be planning to buy, or that you have already purchased. Plus, you'll pick up valuable information on screenprinting technology and techniques that you can put to work right away.